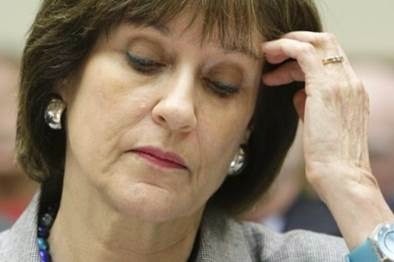 A bombshell revelation has brought the IRS scandal to a new level. Judicial Watch has released internal IRS communications revealing that former Tax Exempt Organizations director Lois Lerner was in contact with the Department of Justice (DOJ) regarding whether it was possible to criminally prosecute tax-exempt groups she believed had “lied” about their political activity. Judicial Watch obtained the documents by successfully filing a Freedom of Information Act (FOIA) lawsuit against the IRS in October 2013, following the agency’s stonewall of four FOIA requests dating back to the previous May. “I got a call today from Richard Pilger Director Elections Crimes Branch at DOJ … He wanted to know who at IRS the DOJ folk s [sic] could talk to about Sen. Whitehouse idea at the hearing that DOJ could piece together false statement cases about applicants who “lied” on their 1024s –saying they weren’t planning on doing political activity, and then turning around and making large visible political expenditures. DOJ is feeling like it needs to respond, but want to talk to the right folks at IRS to see whether there are impediments from our side and what, if any damage this might do to IRS programs.